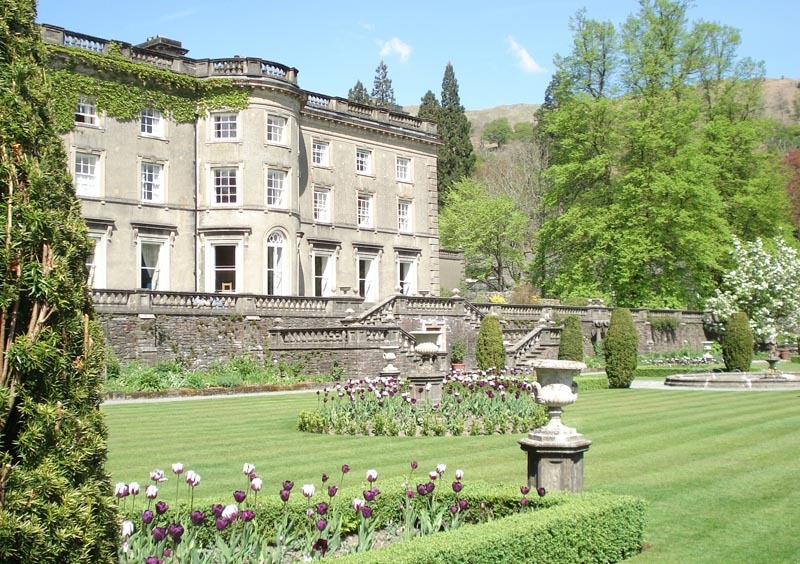 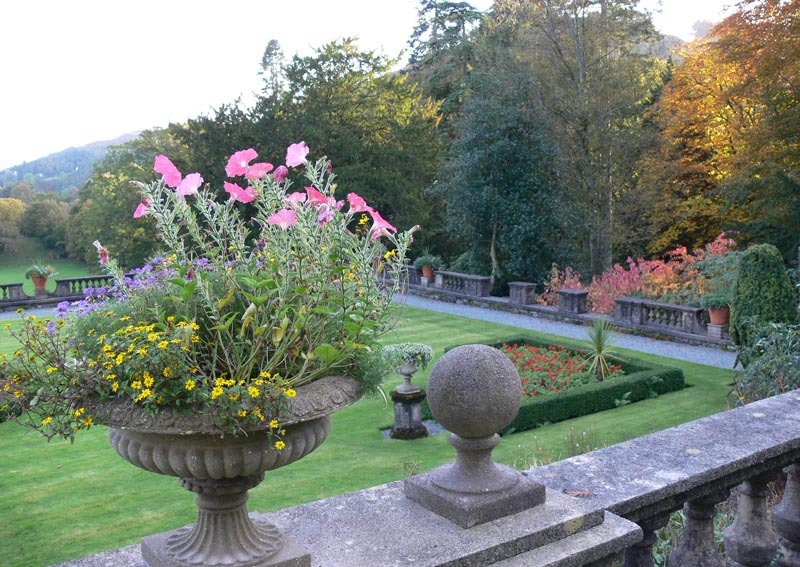 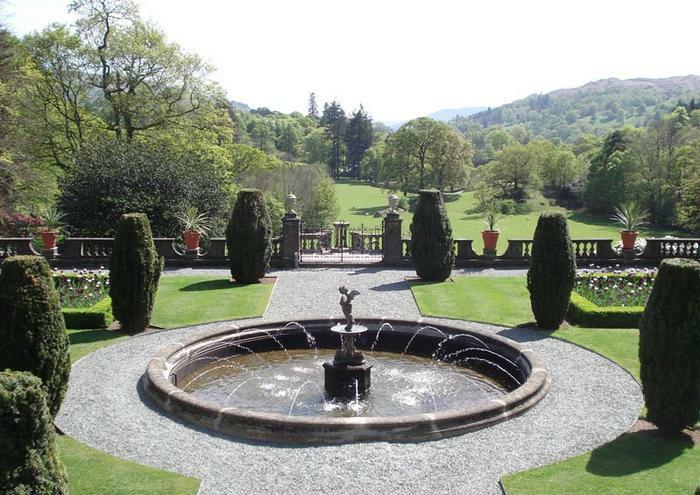 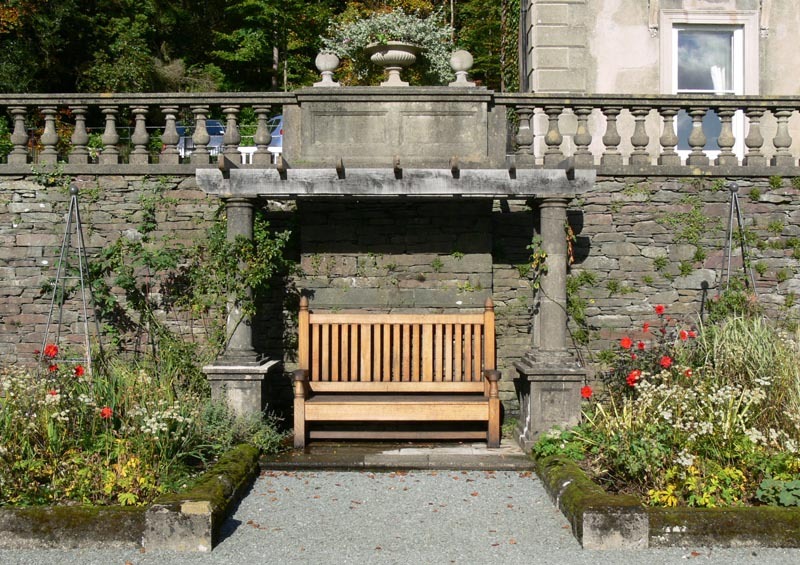 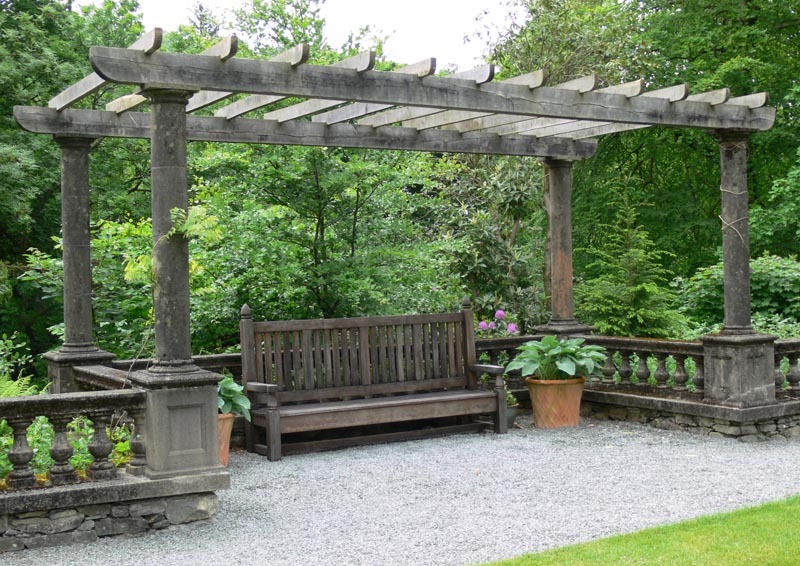 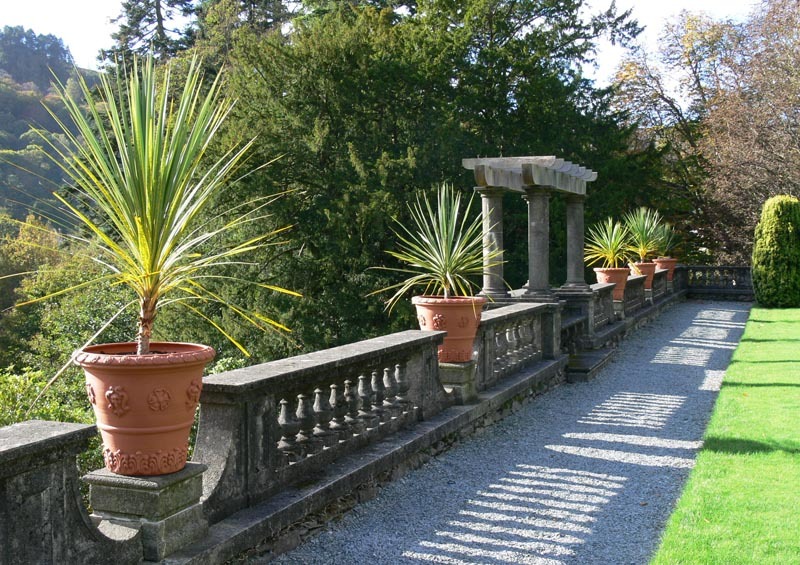 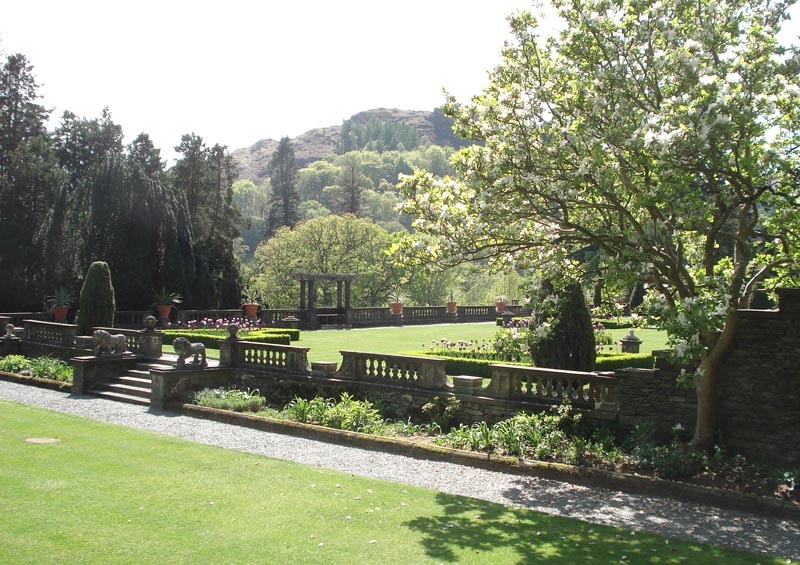 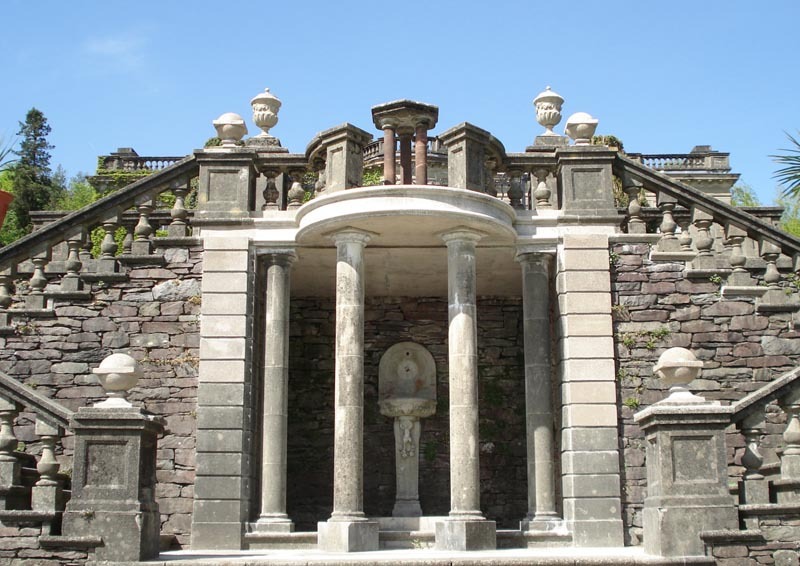 The historic formal gardens at Rydal Hall were designed by the acclaimed landscape architect Mr Thomas Mawson and were built in 1909. 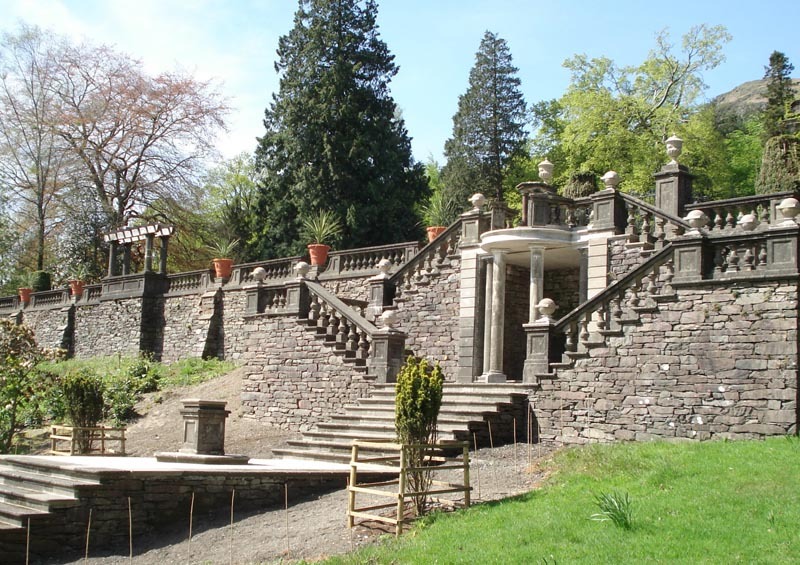 The balustrading, stairs, urns and other features are constructed in precast concrete, an early use of the material for this purpose. 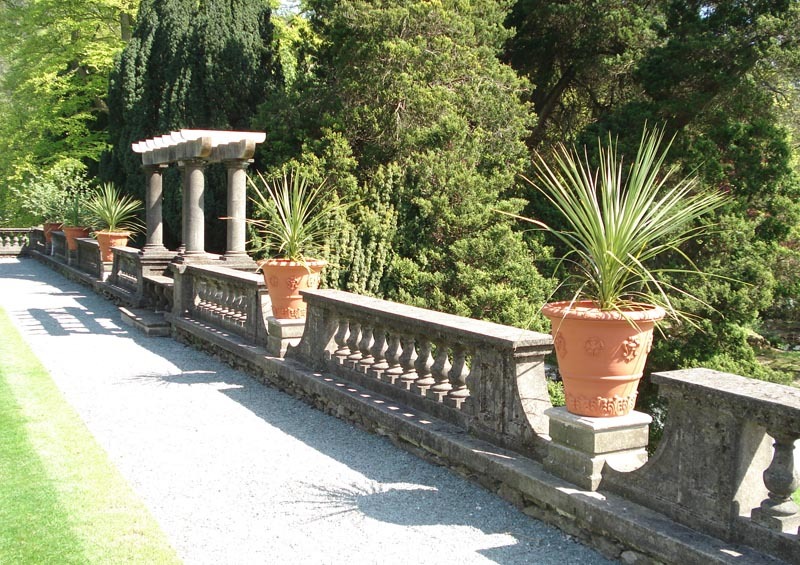 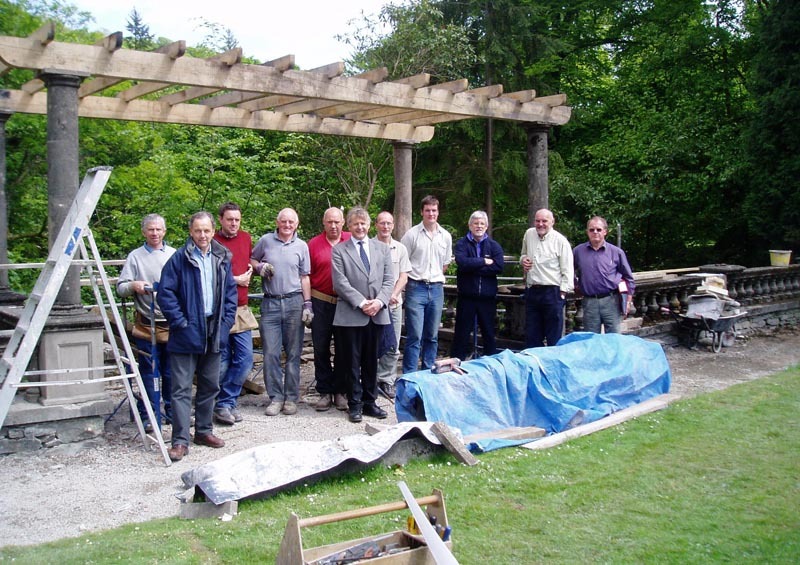 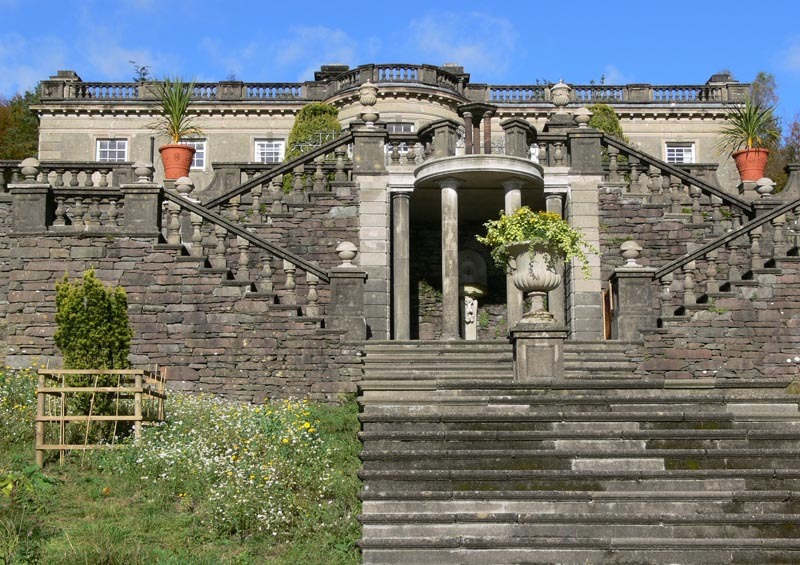 The concrete balustrading was restored with some sections requiring extensive repair. 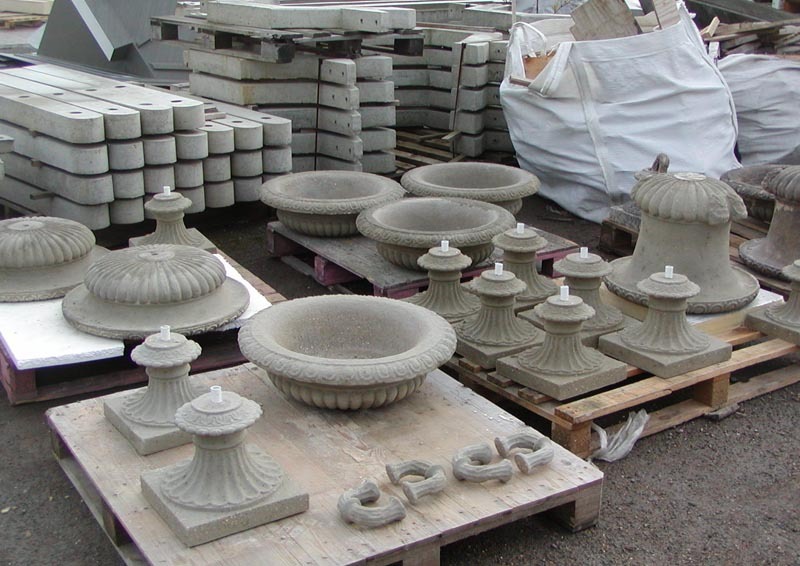 Where new pieces were required, the concrete mix was carefully matched and moulds were made for the balusters and urns so that the replacements are exact replicas of the originals. 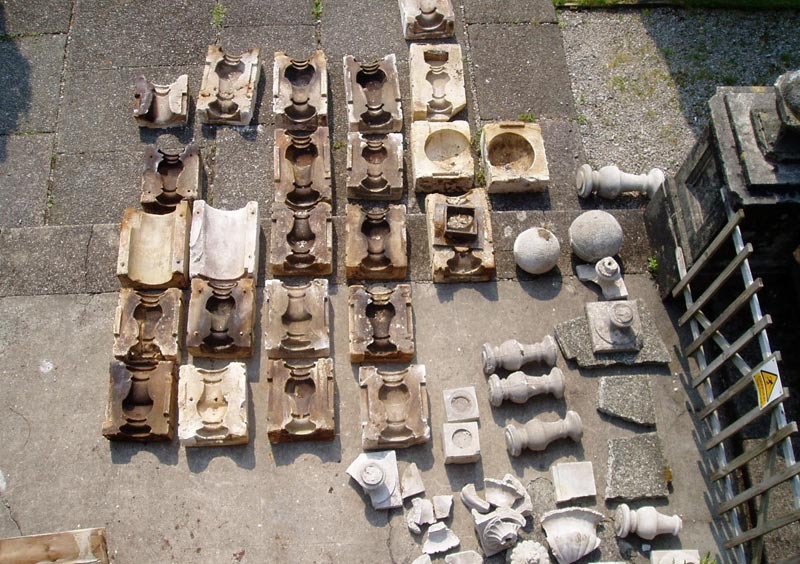 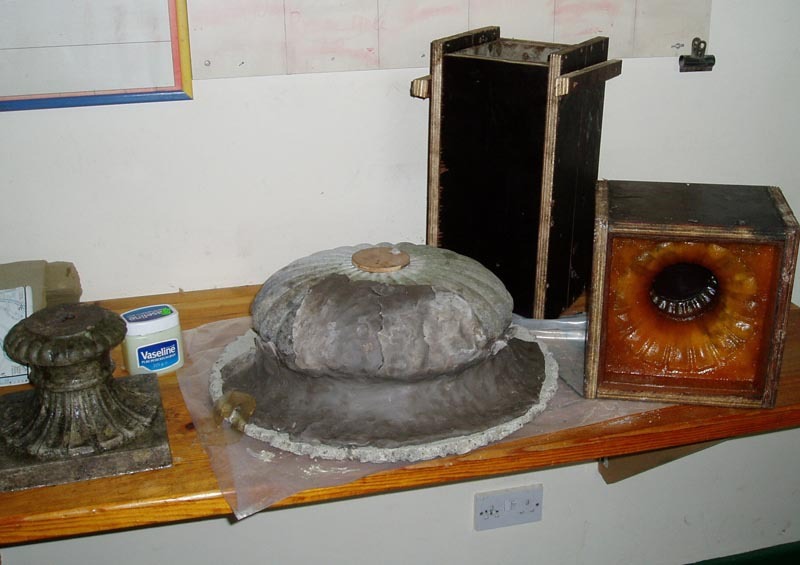 The original plaster moulds for the balusters and other features were found in the basement of the Hall and these have been safely stored. 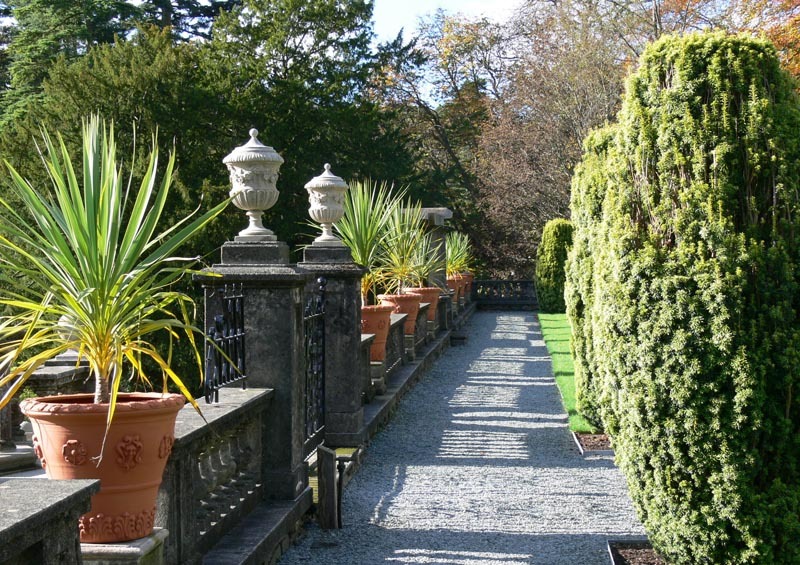 The planting beds were re-laid and re-planted to a colourful scheme by the landscape architects Nicholas Pearson Associates using plants that, research showed, would probably have been used by Mawson in the original garden. 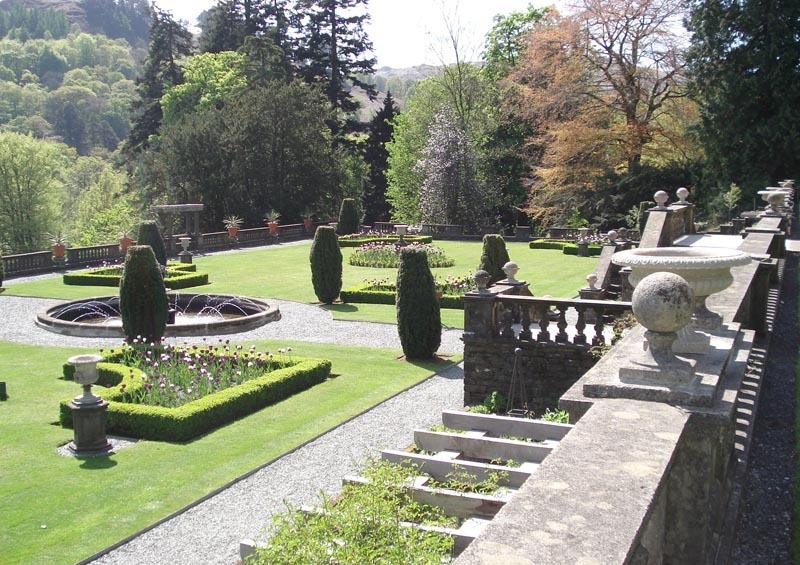 The gardens are freely open to the public.